I created this overlay pattern which I call a fan pattern, by grouping radiating lines. There are many possibilites for creating interesting, pleasing patterns this way. 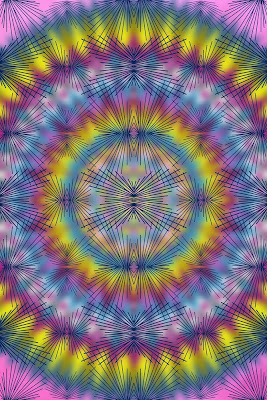 Blurring the mandala to varying degrees, produces a range of interesting effects.